CPR Educators is committed to being a leading provider of CPR, first aid, and AED training in Norfolk, VA. At our American Heart Association Authorized Training Center, we offer small classes that are positioned to provide a fun and engaging experience, in addition to an educational one. Each of our certified instructors are experienced and knowledgeable and are well-versed in how to administer emergency protocols in an actual emergency. 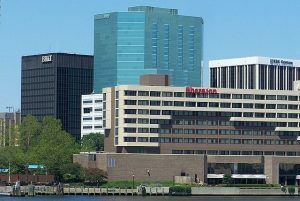 Why Take CPR Classes in Norfolk, VA? People who are trained in CPR, AED, and first aid save lives. While many of us will never have to use these skills and only think of getting certified for a job or legal requirement, the fact of the matter is, when an emergency happens, taking action while waiting for first responders to arrive can be the difference between life and death. We want our students to not only be able to pass an assessment and obtain certification, we want to equip our students with both the skills and the confidence necessary to take action should the occasion arise. We offer several different courses at our AHA-authorized Norfolk, VA training facility, including Automated External Defibrillator, or AED training, to pediatric CPR instruction.. This course is intended for adults to respond quickly and effectively to babies, toddlers, and children suffering from illness or injury. Designed to meet legal requirements for child care workers, this class is also recommended for parents, babysitters, and teachers. The Basic Life Support (BLS) CPR class prepares healthcare professionals and first responders to administer cardiovascular life support skills and CPR in both hospital and pre-hospital environments. Heartcode® BLS makes it easy for students with hectic schedules to find time to receive CPR and first aid certification by blending online learning with in-class practical training and assessment at our Norfolk, VA center. For Norfolk employers who require their team to maintain compliance with OSHA Standard 1910.1030, this course shows students how to correctly and safely handle blood and other fluids to reduce risk and prevent the spread of disease. For employers whose team is required to comply with OSHA Standard 29 CFR 1910.157, this course teaches students how to effectively and safely use a fire extinguisher to put out small fires. Our courses at our American Heart Association Authorized Training Facility in Norfolk are provided at multiple times throughout the month at times so everyone has an opportunity to schedule a time that works for them. Class enrollment is kept small to ensure that every student receives hands-on training, individualized instruction, and and has an enjoyable experience. If you would like to provide on-site first aid and CPR classes for your team, reach out to us! We work with organizations and businesses to provide on-site classes so you can ensure your team remains up-to-date on certification, save costs, and make it easy and convenient for your employees. We work with all types of businesses and corporations, and can provide a customized curriculum for certain industries, including child care and dentistry.